Home / Sermon Prep / Why wait? The Kingdom of Heaven can be here now. This sweetheart is not delusional. She watches the news. She hears what you hear. Gunman kill worshippers in church. Cars, trucks and buses become weapons and everyday pedestrians become targets. So, you may be wondering, how is heaven on earth? Jesus answers. He speaks of a traveler on a long trip. The metaphor is apt because you, too, are on a long trip spiritually. How do you know it’s long? Sometimes you know exactly where you are on the map. Other times, you know that if there ever was a spiritual map, it is far from where you are in the moment. But there is a way to experience heaven on earth. How? Give. Give boldly. Give freely. Stop hoarding and start helping. After nine years at one pulpit, I finally figured out what the church I serve is good at—missions. Heaven on earth does not happen when we seek self-gain. Heaven on earth begins when we see the needs of others and, not scared, we go and serve. We go and do. No fuss. No fanfare. We accomplish what needs to get done. Think about your long trip, about the times in your past when you have “boo-hooed” yourself into one sad corner. You may have needed that for a while. Actually, you did need that for a while, but eventually you came out of yourself and realized, “Wait, there IS something I can do to help someone else.” And when you helped someone else? Yep. There was a double-win. You and someone else walked away better. If you keep walking this way, one double-win after another, you will realize there can be heaven on earth. Humanitarians and secularists just call this Good Works. And they succeed in this logic, sometimes incredibly. Amen. But most of us need more. We need management in on this. We need the infrastructure, the reasoning, the encouragement, and the reminders that our resources aren’t ours in the first place, they’re God’s. I serve a mission church. Are we perfect? Oh, no. We can be one hot mess. But we are one hot mess together, and that enables us to see ourselves and our mighty imperfections. When it comes to making Heaven on earth, do the math. Many is better than one. PRAYER: Let me connect today with a messed-up Christian who actually sticks his or her neck out for the glory of God here on earth. Amen. 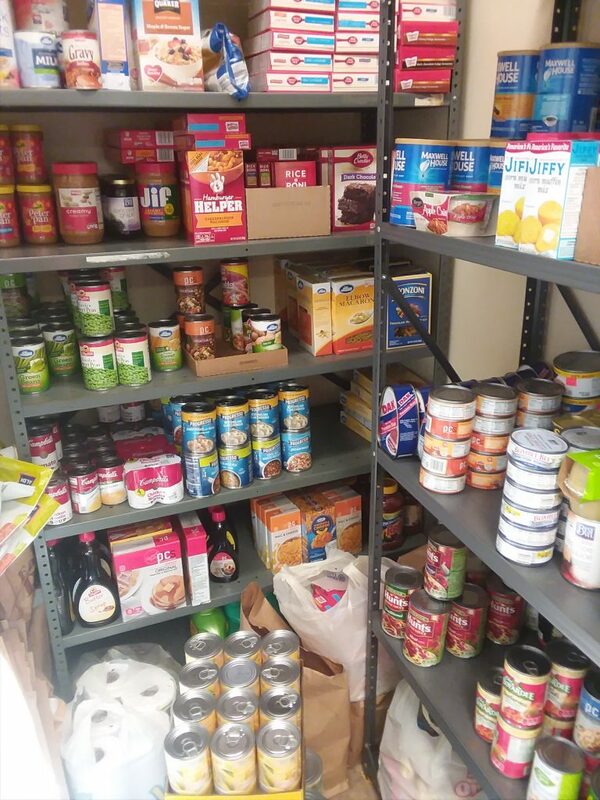 The photo is of our food pantry. « No, you’re not THAT important; you’re THIS important.